AUSTIN, TX (January 22, 2018) – On the heels of a joint press conference in which Governor Abbott, Lt. Gov. Patrick, and House Speaker Bonnen announced this will be the legislative session of school funding and teacher pay, a new Raise Your Hand Texas statewide poll finds Texans are aligned with those broad interests, and have strong opinions about the specific ways legislators should proceed. In the poll, conducted in January 2019 by Outreach Strategists, Texans say education is the most important issue for this legislative session, with more funding, higher teacher pay, and reduced focus on high-stakes testing ranking as the top interests. More than 70 percent say not enough money is being spent on education in Texas and 78 percent oppose increases in funding tied to student performance on state standardized tests. The overwhelming majority of Texans also believe pre-K is important to ensuring school readiness and leveling the playing field, and that the state, not local communities, should fund full-day pre-K for at-risk students. The poll finds that the closer someone is to a public school, the more they think it is a good school. The majority of Texans give the public schools closest to them a grade of A or B, with perceptions dropping when asked about schools across Texas and nationally. An even larger majority of Texans give teachers in their local community an A or B grade. Most Texans are misinformed about who covers the cost of education funding. Most think state and local property taxes cover equal shares or the state covers the majority of education funding, when in fact local property taxes cover more than 60 percent. The strongest response in the poll indicated more than nine in 10 Texans believe programs receiving taxpayer dollars must be academically and financially accountable and transparent to taxpayers. For the full poll results, visit the Texas Public Education Perceptions Poll page on the Raise Your Hand Texas website. Raise Your Hand Texas and the Raise Your Hand Texas Foundation are reinventing public education for the future—because the future of Texas is in our public schools. Raise Your Hand Texas supports public policy solutions that invest in our students, encourage innovation and autonomy, and improve college and workforce readiness. For more information, visit RaiseYourHandTexas.org. 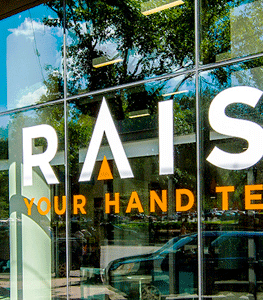 The Raise Your Hand Texas Foundation develops and strengthens school leaders and teachers, engages families in the educational experience, and advances classroom learning with innovative instructional practices to benefit all students. For more information, visit RYHTFoundation.org.